The shoulder season must be a big challenge for those working in the hospitality industry as there are customers out there but not quite as many as in high season. 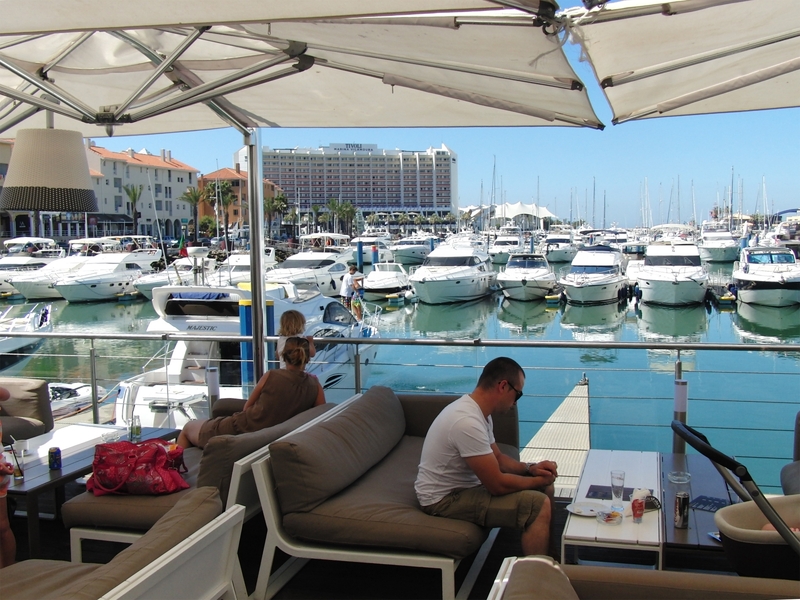 We walked along the marina in Vilamoura, which is a beautiful town on the the Algarve in Portugal and most of the restaurants had their “sales people” out front trying to encourage you to choose their place as your restaurant for this night. We didn’t feel like Chinese or Indian so it was easy to walk by these restaurants but when it came to the rest how do you quickly judge them? Does a place look well, are the prices right, is there a special offer to attract you, is there something different about the place, do customers there look like they are enjoying themselves, does it feel right? If they look empty then what does everyone know that you don’t so you walk by, if they are too busy then you might also walk by. With so many couples on holidays I wondered why the restaurants did not bother with candies? – an empty restaurant can transform quickly into an intimate, romantic spot when a special atmosphere has been created. Eventually we stopped at the restaurant alongside the waterfront that had a good number of customers eating but it wasn’t so busy so we were able to get a seat with a good view. The waiter cleverly guided us to a spot that helped spread the customers even more throughout the restaurant making it look a little busier than it actually was – he understood the “optics” that a place looking busy would attract more customers. My lasagna was gorgeous but Dee’s gorgonzola and spinach pasta was strangely missing gorgonsola – we probably wouldn’t be back. To the front of the restaurant there was a stand selling ice cream and crepes to passing pedestrians strolling on the marina. During the course of our meal the woman looking after the stand didn’t serve a single customer until suddenly one man stopped and ordered a crepe. Her hot plate was fired up, the deliciously smelling mix was poured over it and the whole area carried the tantalising aroma of crepes being made. Suddenly I so badly wanted a crepe as did most people who walked by – while the guy waited for his crepe more people stopped and queued and then more and more. The woman within 10 minutes went from having nothing to do to not being able to cope! People are simple creatures and we often look to others to see what they are doing before we are prepared to commit. What are you doing to attract your first customers? This entry was posted on October 6, 2016 at 1:38 pm and is filed under Business Planning, Customer Care, Motivation, Tourism, Travel. You can follow any responses to this entry through the RSS 2.0 feed. You can leave a response, or trackback from your own site.